Advanced Bio-Technologies, Inc. has developed a revolutionary and patented product that maintains the sure advantages of silicone gel sheets whilst getting rid of the troubles and limitations related to their use. 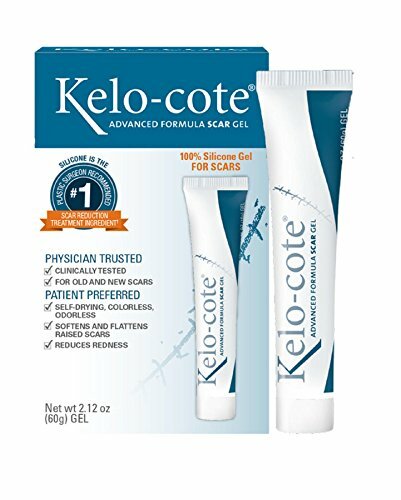 Kelo-cote® is an leading edge topical silicone gel for the management of scars and for the prevention of ordinary scars within the type of hypertrophic scars and keloids. It’s indicated for scars on account of trauma, surgery, burns or different events that lead to damaged skin. Kelo-cote® gel self-dries to a water-proof, gas permeable membrane that acts like an additional layer of skin. It is helping to melt, flatten and smooth the scar whilst keeping up the moisture balance and elasticity of the adjacent skin. It has also been shown to cut back the discoloration and itching related to scars. Hawaiian Kukui Moisturizing Cream w/Paradise Fragrance by Oils of Aloha – 4oz.